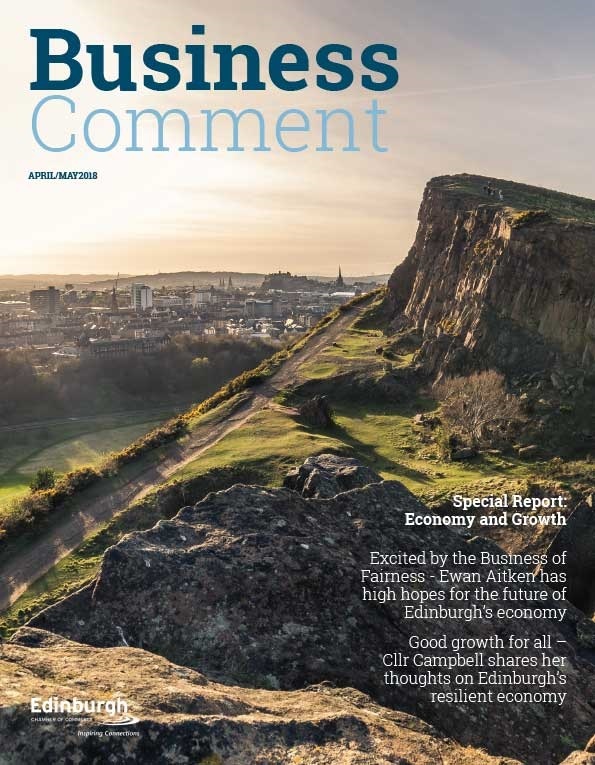 Business confidence in Scotland rose 18 points during April to reach 30 per cent, according to the latest Business Barometer from the Bank of Scotland. 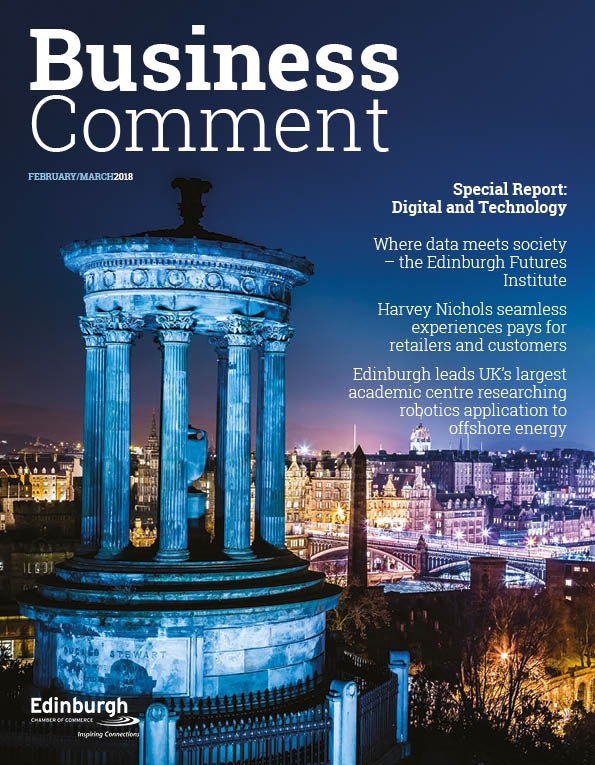 Companies in Scotland report higher confidence in their business prospects at 41 per cent and higher economic optimism at 18 per cent. Together, this gives an overall confidence of 30 per cent, which is 18 points above last month’s figure of 12 per cent. Companies’ hiring intentions showed that a net balance of 13 per cent of businesses in the region expect to hire more staff during the next year, up three points on last month. 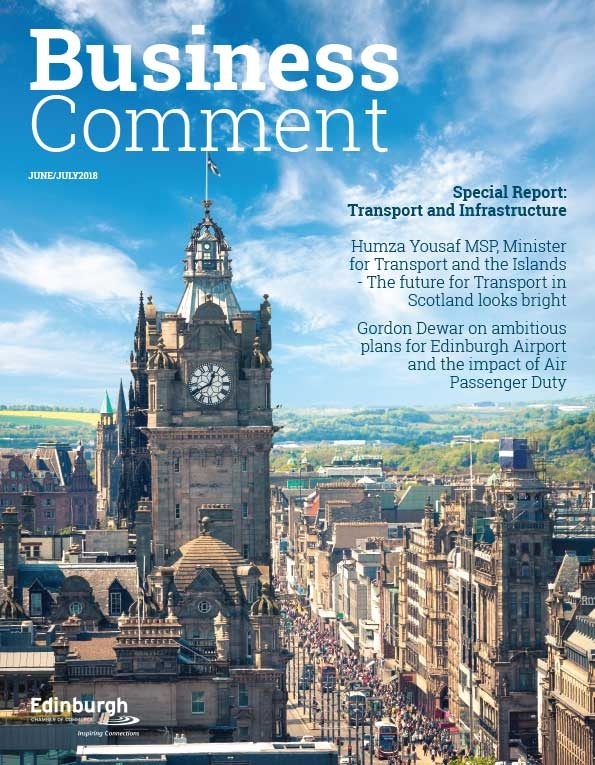 Fraser Sime, regional director for Scotland at Bank of Scotland, said: “It’s encouraging to see firms in Scotland growing in confidence, especially given the challenging business environment. “The rise in positivity was the biggest of any UK region, which bodes well for Scotland’s prospects during 2018, though we still expect levels to fluctuate through the year. Across the region, a net balance of 13 per cent of businesses said they felt that the UK’s exit from the European Union was having a negative impact on their expectations for business activity, which is unchanged from a month ago. 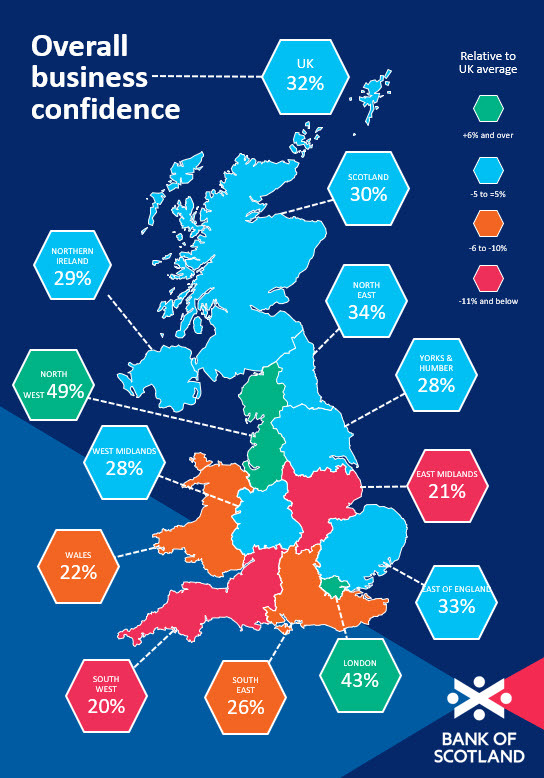 Overall confidence was highest among North West businesses, at 49 per cent, followed by London (43 per cent) and the North East (34 per cent).